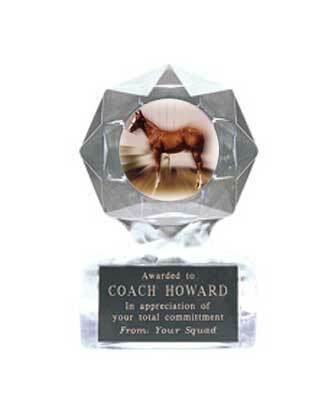 The Acrylic Flame and Star Ice Equestrian Trophies and Rodeo Trophies are inexpensive, yet very cool. Both styles hold 2" insert that you may select. 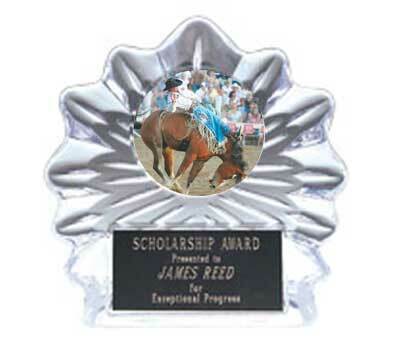 These are great for fun shows, play days, equestrian events for youth and rodeo trophies, each includes 40 characters of free engraving. Click a link below for more information. 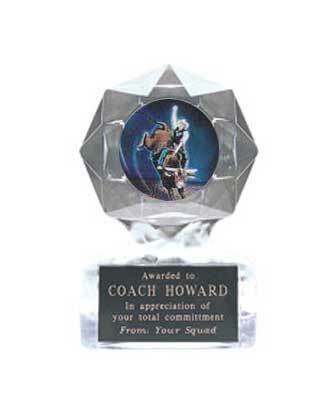 Orders ship in five to seven business days. 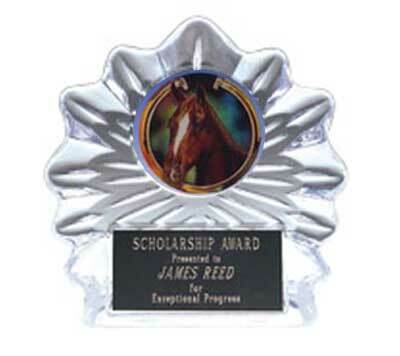 Contact us at 800-787-8777 if you need your order sooner.